Becky August 3, 2017 August 8, 2017 No Comments on Where did the Water go? On our way back from Wales we stopped in at Taunton to see family. We stayed at a different campsite this time – Tanpits Cider Farm – which saw us settled under cider apple trees in the orchard and surrounded by Peacocks, Guinea Fowl and Rabbits. Very pretty and right next to the canal cycle route into town. It was a shame about the amount of building work going on around as Taunton keeps expanding it’s borders, but they didn’t start till 8am so it wasn’t too intrusive. The evening before we had been camped in the Wye Valley and had showers, did the washing up and all was fine – the following morning I turned on the taps and nothing came out. We decided not to worry about it until we reached Taunton where we could take a look at what was going on. We checked the pump – all running fine, we checked our water levels – also fine. We looked at the emergency drain valve (this is the valve that empties the boiler if the temperature drops below about 4 degrees to stop damage caused by freezing) – also fine. When we looked under the van we could see that each time we turned the taps on the water was coming out of the boiler, so there was obviously something wrong in that area. Cue despondency; replacing a boiler is not cheap. But with a bit of help from the internet (there are some great Motorhome forums online and on facebook) we finally found that it was escaping through the venting hose and that there was a valve that was probably at fault. Truma confirmed that this was probably the case (their customer services were excellent, getting back to us swiftly) and supplied the part number. 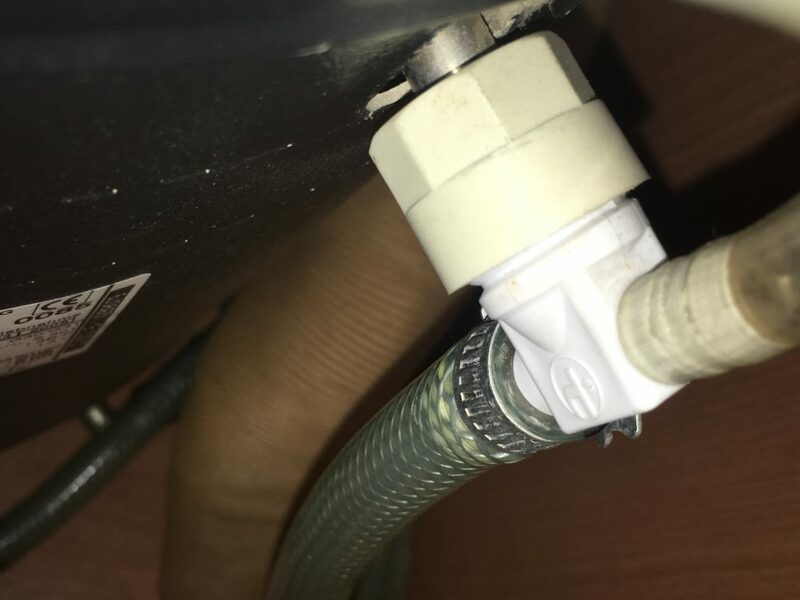 A quick phone call to Apple Camper who had the part in stock – and sent a picture just to confirm that it was definitely the part we needed – for £9.99, 15 minutes (or probably less) for Paul to remove and refit the part, and all was well. Disaster averted thanks to the power of the internet and some excellent service. For posterity the boiler is a Truma 3402 combi boiler and the part number is 34150-01. Paul still doesn’t believe that the part is really a valve – when you look through it, it just looks like a t-piece – but that’s a whole different conversation.